Police have suspended all contracts with a drug-testing company amid allegations of data manipulation. Randox Testing Services (RTS) in Manchester was investigated after two scientists were arrested on suspicion of tampering with data. Police minister Nick Hurd understands the RTS is no longer working for the National Police Chiefs' Council. 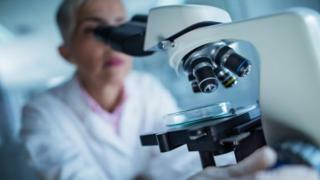 He said the firm was "co-operating" in retesting samples after the probe led to a review of more than 10,000 cases. The council said forensic tests across 42 police forces, including rapes and murders, were being considered possibly unreliable and needed re-examining. Mr Hurd told MPs: "The police have suspended all contracts as I understand it with Randox. "Randox are co-operating with us fully on the priority, which is to identify the priority cases [and] get the retesting done as quickly as possible." He also said the cases of alleged wrongdoing could go back to 2010. Five people have also been interviewed under caution by Greater Manchester Police over the alleged manipulation by individuals working at an RTS site. The alleged misconduct emerged earlier this year when a data anomaly in a drug-driving case was reported to RTS. Potential data manipulation at a separate facility, Trimega Laboratories, is also being investigated. Shadow home secretary Diane Abbott claimed the "scandal" "flowed directly" from the decision to privatise the industry. Mr Hurd accused Ms Abbott of "trying to squeeze" the issue into a Labour narrative of "public good, private bad".